About – The Yard Law Offices, P.C. Theresa I. Yard, Esq. is admitted to practice law in the states of New York and Connecticut for (23) years, and to practice law in New Jersey for (22) years. She is admitted to practice in the United States District Court for the Southern and Eastern Districts of New York, the United States District Court for the District of New Jersey, and the United States Supreme Court. Upon graduation, with honors, from Fordham University School of Law, she joined Kelley Drye & Warren LLP, a firm with a dynamic and sophisticated national and international legal practice involving business organizations of all kinds. She practiced in the areas of antitrust and commercial litigation. After leaving Kelly Drye to raise her 2 younger children (she also has 2 adult children), she joined West Group to be their sole Acquisitions Editor in New York. Terry is trained as a Part 36 Guardian, as a Guardian Ad Litem, as a Court Evaluator and as an Attorney for the Alleged Incapacitated Person in Article 81 Proceedings. She is a member of Nassau County and New York State Bar Associations, and a member of the NYS Bar Association‘s Elder Law and Trust and Estate Sections, as well as a Member of the Special Needs Committee of the New York Bar Association Elder Law Section. She is also a member of the National Academy of Elder Law Attorneys (“NAELA”). 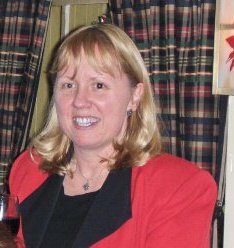 She is also served for 2 years as Co-President of the Massapequa Special Education PTA, as the President of the Old Harbour Green Civic Association of Massapequa, NY, and as Chairperson of multiple committees in the Massapequa PTSA and of Troop 696 of the Club Scouts Theodore Roosevelt Counsel.